The idea of being locked in a mall sounds like a dream come true to me – nothing to do for days on end but try on clothes and shoes? Sign me up! Wait…what? Thousands of other people will be trapped there with me? And there’s a deadly contagion possibly on the loose? Boo…hiss…much less fun, that. 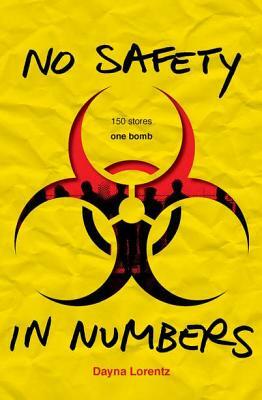 No Safety in Numbers’ tagline is ‘150 stores. 1 Bomb’ - and we’re not talking a bomb that goes ‘boom!’ but a bomb that’s released a biotoxin through the air vents of one of New York’s biggest malls. The story is told from the viewpoints of four teenagers trapped inside the place: Lexi, the nerdy fourteen-year-old senator’s daughter whose mom orders the mall quarantine; Shay, the beautiful but studious teen spending the day there with her grandmother and younger sister; Ryan, the football player who meets and falls for Shay; and Marco, a busboy at one of the mall restaurants who’s bullied at school but finds himself in a position of power during the mall lockdown since he knows the floor plan…and possible escape routes. Most of the characters are pretty laid back about the whole thing at first – after all, there are a lot worse things than wiling away the hours in an Apple computer store. Unsurprisingly, most of the teens hang out in Abercrombie, and even participate in some fun games of truth or dare. It’s when people start getting sick, and one day turns into two and then three days, that people finally get restless and want to know what the deal is. Why can’t anyone leave? Why have all the cell phones dropped signals? What happened to news from the outside world being shown over the store televisions or internet? And what’s up with the arrival of all the peeps in the blue hazmat suits? As panic sets in and sick people start mysteriously disappearing, Lexi learns from her mom there maaaaaaay have been some toxins released through the vents causing a deadly strain of the flu to set in – something no retail therapy in the world can cure! The first in a series, the book ends with a character death, a foiled escape, and the realization things may be far worse than originally imagined. Lorentz has an ear for how teens talk, and even though the plot is a bit far-fetched – not the biological toxin released in a mall part, which seems like a true terrorist plot-in-the-making – but that it takes the mall’s inhabitants several days to get worked up enough to start rioting. My three-year-old riots after just two hours in a mall!! 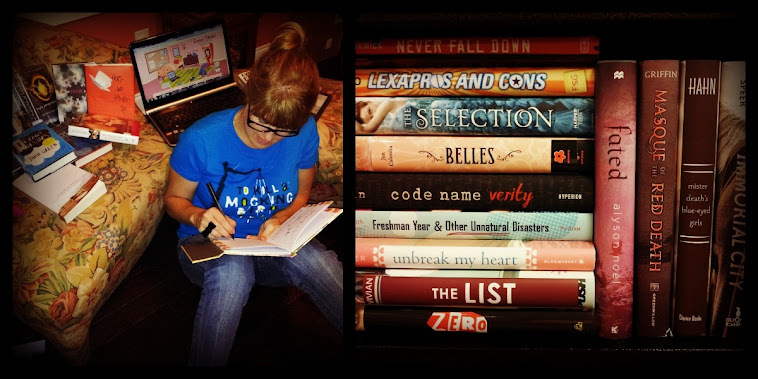 Action/adventure fans and reluctant readers should enjoy. Soon, I hope to read Quarantine by Lex Thomas which has a similar premise – high school kids struck with a deadly virus and locked inside their school – but is supposed to be edgier and more Lord of the Flies-ish with warring gangs and violence. To learn more about Dayna Lorentz, the No Safety in Numbers series, and her other books, visit http://www.daynalorentz.com/ .